A few days ago I was surprised to discover that the constellation known as the Southern Cross was visible to the Ancient Greeks. In the fourth millennium BC it could even be seen in Great Britain although today it’s visible only in the southern hemisphere and a bit north of the equator. So what happened? Well, the earth wobbles slightly on its axis (a phenomenon known as the precession of the equinoxes) with the result that the constellation gradually disappeared below the European horizon. Over the centuries it was eventually forgotten by people of the north. It wasn’t rediscovered until the sixteenth century by João Faras, a Portuguese astronomer who accompanied Pedro Álvares Cabral on his first Brazilian voyage of discovery. The Southern Cross is mentioned by name in the national anthems of Australia and Brazil and appears on the flags of several countries including Australia, New Zealand, Papua New Guinea and – I bet you didn’t know this – Samoa. You’re probably wondering what all this has to do with wine. (The thought had occurred to me – Ed.) It’s because the two wines this week come from Chakana Wines, and chakana is the name for the Southern Cross in the language of the indigenous people of the Andes. They inhabited this mountainous region for more than five thousand years and their agricultural calendar was based on an understanding of natural phenomena and the positions of the sun, moon and stars. The Southern Cross held the key to finding the perfect timing for cultivation and harvesting. 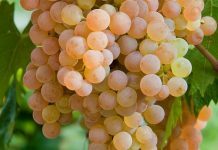 For this reason, Chakana Wines was founded on 2nd May 2002 when the constellation had reached a vertical position, marking the beginning of a new farming cycle. It must have worked, for the company has achieved international success with their exceptional wines. 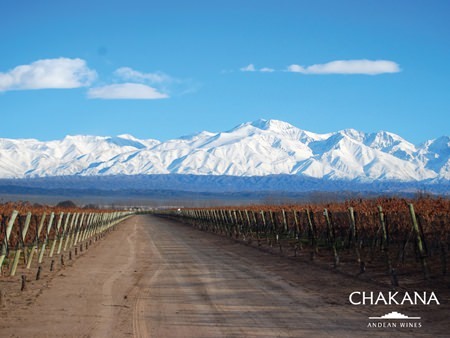 From the beginning, Chakana Wines set out to create wines to honour the wisdom of the ancestors of Argentina. 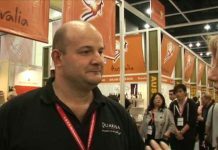 Their winemaking consultant is Alberto Antonini who came to Argentina in 1995, after making significant contributions to the so-called Super-Tuscan movement in Italy. He sensed the potential of Malbec and devoted most of the following fifteen years to the re-discovery and perfection of this grape. He’s also a consultant for over ten other wine projects in Argentina, and his winemaking philosophy is focused on using modern technology to express the potential of the terroir by making high-end wines that respect the true character of the grape. 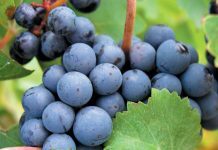 For years, Malbec has been Argentina’s signature grape but at one time was more closely associated with France, where it was the most commonly planted vine throughout the south-west of the country including Bordeaux. Unlike its French cousins, Argentinean Malbec is invariably a deep red, rich wine with what wine-writer Jancis Robinson describes as “exuberant juiciness and … an almost velvety texture.” This wine is a dark, purplish red with long oily-looking legs coating the inside of the glass. It has a big, jammy sort of aroma with black cherry, violets and a dash of mint. Give it time and you’ll get faint hints of chocolate in the background. It’s completely dry on the palate but laden with ripe plum, red berries and intense savoury flavours. The wine has great depth too, an attractive framework of firm tannins and a satisfying long, dry finish. The texture is typically smooth and velvety and there’s a pleasing touch of acidity to the taste. At 14% ABV, this is an outstanding wine and if you enjoy big, firm and fruity reds you’ll certainly find a great deal of pleasure in this one. If these things interest you, this wine achieved 86 points from Wine Spectator and 89 points from Robert Parker’s Wine Advocate. More importantly perhaps, earlier vintages won prestigious awards at the International Wine & Spirit Competition, Mundus Vini, the International Wine Challenge and the Argentina Wine Awards. To my mind it’s very much a food wine and would make a fine partner for grilled meats or duck. It’s almost like taking a magnifying glass and somehow enlarging all the features of the previous wine, making it bigger, bolder, more authoritative and more majestic. This seductive wine was aged for twelve months in French oak barrels. It’s a dense, purple colour with bluish hints and exceptionally thick syrupy legs which coat the sides of the glass like a liqueur. It has a powerful floral aroma of plum, blackberry and black cherry with overtones of coffee and peppery chocolate. There’s a fairly heady aroma too and the staggeringly high 14.5% ABV might make your nose start to twitch. The wine is big and full-bodied, powerful and assertive but also has a sublimely silky texture. The tannins are rich and firm and there’s a kind of earthy, elemental quality that emerges after the wine has been in contact with the air for some time. It’s a wine of great structure with an exceptionally long and dry finish. There’s no doubt about it; this is a superb wine and will appeal if you like dry, powerful, authoritative wines which are packed with fruit. The Wine Advocate awarded the wine 90 points and it won gold medals at the Decanter World Wine Awards and the Hyatt Wine Awards. This wine, as some people like to say, has a huge “wow” factor, which is exactly what one of my friends said when he first tasted it. Try it with rich smoked and grilled meats or a big peppery Argentinean steak. Anyway, I’ll stop there if you don’t mind, because I want to search the horizon for the Southern Cross. Incidentally, I hope that you are not too worried about the wobbling earth because it wobbles very slowly indeed. And you know, for this reason the Southern Cross will eventually become visible once again in the night skies of Northern Europe. Don’t bother to change your holiday plans though. It won’t happen for another twenty-six thousand years. Next articleChok Dee – and it’s more than good luck!